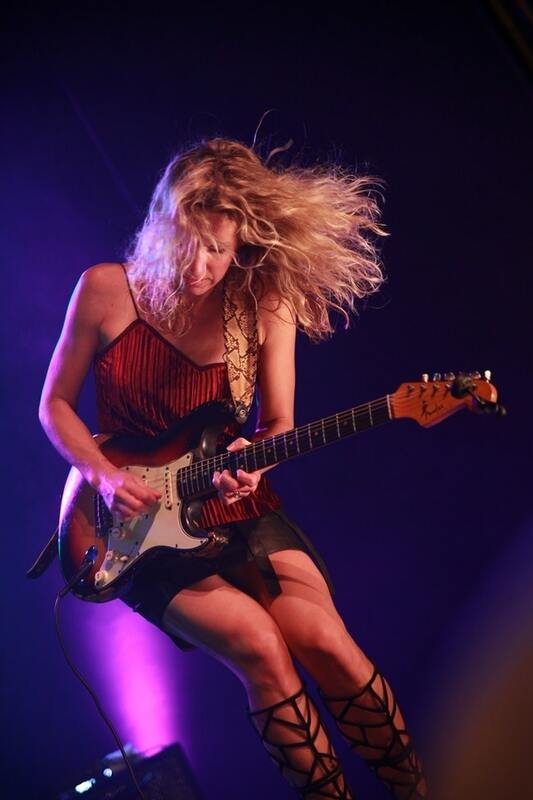 [BLUES] Although Ana Popovic hails from Belgrade, Serbia, her musical affinity is for American blues, something handed down by her father… and she’s cultivated an audience here by playing Buffalo at least once a year. Before going solo, she fronted the band Hush, melding a blues sensibility with funk grooves that proved to be a hot European touring commodity until disbanding in 1998. Her solo career eventually landed her in Memphis, where she has since made her home and where her second album, Comfort to the Soul, was recorded. 2016’s ambitious triple album, Trilogy, was divided among three genres — funk, blues-rock, and jazz — and featured Joe Bonamassa and Robert Randolph among other big name guests. A new, Nashville-recorded set was released last fall entitled Like It On Top, produced by Keb Mo, and it’s a concept album about female empowerment. Popovic delivers the goods at the Tralf Music Hall on Monday, April 22.